IVF has been into existence since a long time with a number of successful results. Many couples have tried IVF and have been happy with the outcomes received. They will be able to extend their family and enjoy parenthood. Treating infertility is not easy. Though there are other solutions apart from IVF that can work for you but the response is not as good as IVF. This is the reason that most of the couples who are facing infertility usually rely on IVF for the successful results. There is no doubt that this process can do wonders for you and has far reaching effects too. Though IVF has many advantages that the people look forward to but as everybody knows every coin has two sides and so is with the IVF. Just like there are pros of the IVF process, similarly there are certain cons too. 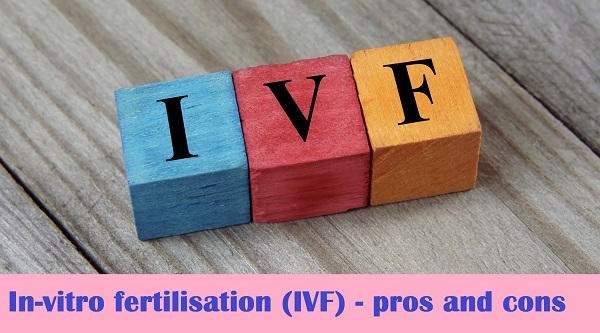 Today we will talk about both the aspects related to the IVF treatment. High success rate – One of the biggest advantages of IVF is the high success rate which seeks the attention of the couple. It is one of the best techniques that works for most of the couples and if performed in the right manner can definitely yield positive results. So the increasing number of positive cases is what makes it a popular choice of several couples. Improved IVF process – With advancements, the process of IVF is improving year by year and this ensures more refined results. So this is yet another benefit that comes your way. Too costly – IVF process takes place in cycles and usually several attempts have to be made to be successful. Being a costly process, not everyone is able to give it a try. Takes time – It is a long process because you need to prepare in advance to get started with the process. In some cases you need to go for multiple cycles which can definitely be time consuming. Complexities for the baby – Today many advanced techniques and treatments are used in IVF and this increases the risk on the baby. Mostly it is seen that such babies are born before the time and this can be very difficult. In some cases the babies might be below the average weight. So there are some abnormalities associated with the baby. Not meant for everyone – Though IVF is able to cure different kinds of infertility problems but there are cases where even IVF does not work. So it is difficult to say that IVF works for everyone or it is the solution for all kinds of infertility problems. Ultimately you need to consult your infertility specialist as the pros and cons can vary from one individual to the other. The doctor can best help you in this concern and can guide you properly. Dr Shivani Sachdev Gour is the best name in this concern with positive reviews and great reputation. If you wish to begin with this process, do check out the dr shivani sachdev review first and then go ahead consulting the expert regarding your case.